Air conditioning is often overlooked until those few summer days when we need it. It’s not just for the summer but it helps demist the windscreen in the winter months. Turn the heater on and press demist the air con will come on automatically on most cars these days. We offer an air con service and regas for £49 inc VAT. It only takes about 40 minutes. 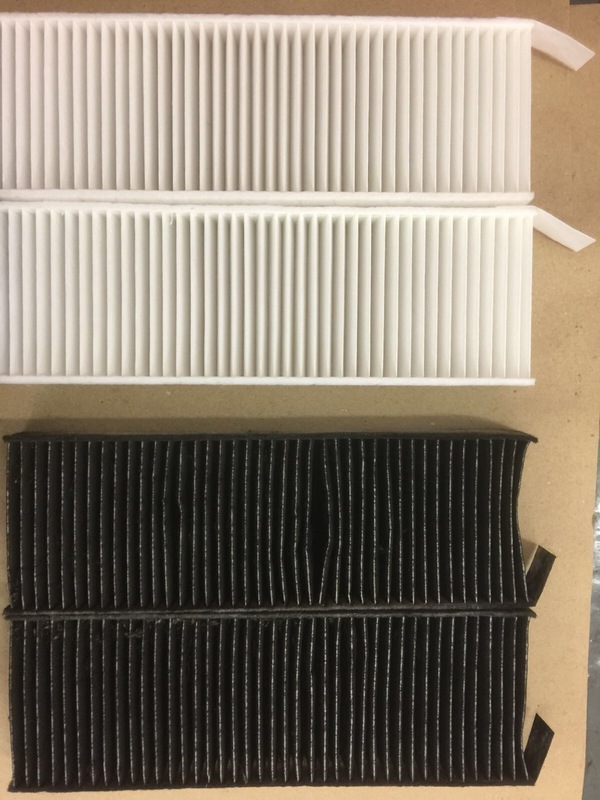 Below is a picture of an old cabin filter compared to a new one. 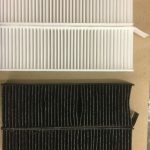 Cabin filters filter the outside air for the heating system. They should be changed at regular service intervals.